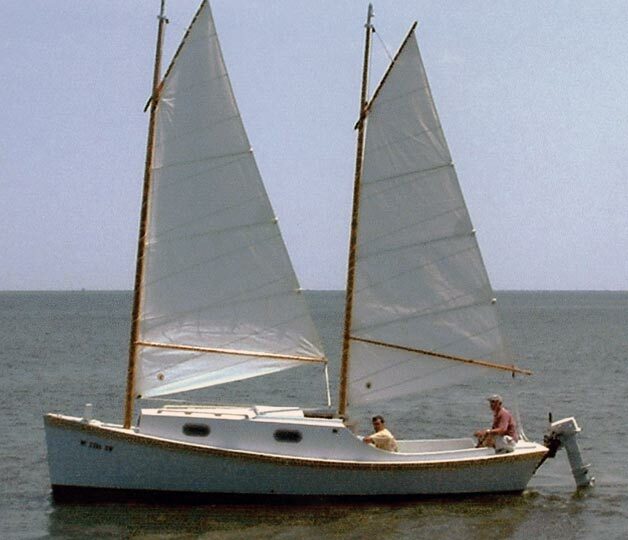 David Smith spent two years building this Sharpie ketch OUTBOUND II, a modification of WoodenBoat plan #42. Launched on June 23, 2003, the hull, cockpit, and cabin are plywood covered in fiberglass cloth and epoxy. 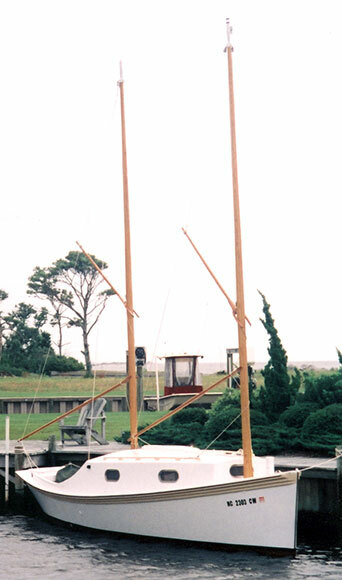 He cut off the last two feet of overhang so he could hang an outboard motor on the transom. I also modified the cabin and the cockpit to make a cruiser that would accommodate two people. He included a sink, stove, head, and table that converts to a bunk. David sails OUTBOUND II in the shallow waters of Core Sound, NC. Email Dave at dodasmith@earthlink.net.